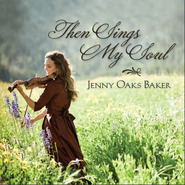 Grammy-nominated concert violinist Jenny Oaks Baker presents a sweeping collection of moving and inspiring songs in her latest album, Awakening. Her virtuosic playing soars over some of the most epic melodies ever written, including songs like ''O Fortuna'' from Carmina Burana, ''Nessun Dorma'', ''Ode to Joy'', and the spiritual classics ''Nearer, My God, to Thee'', ''I Know That My Redeemer Lives'', and ''Amazing Grace'', featuring collaborative pianist former Secretary of State Condoleezza Rice. Jenny is also joined on this album by Youtube sensation Lexi Walker as well as the orchestral pop male vocal trio GENTRI, with their three-part harmony lending a spectacular counterpoint to Jenny's violin lines. This collection of songs brings Jenny back to her spiritual roots as she celebrates the beauty of gorgeous melodies,uplifting messages, and the elevating power of music.